It is finally Spring and feeling like it! Which means it’s time to update your outdoor space. 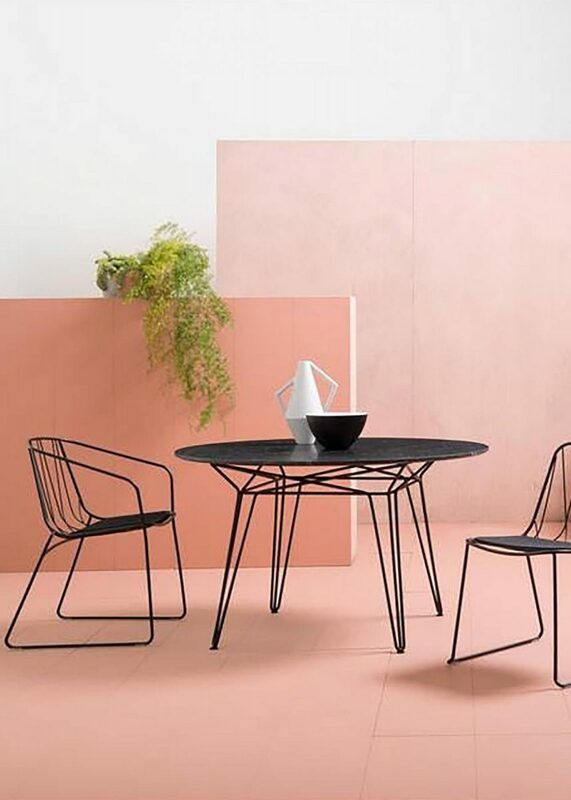 SP01 Design Outdoor Collection has the most gorgeous outdoor designs and I can’t stop swooning overthem. Absolutely loving their chair and table options. If your outdoor space need some freshening, make sure to check out this collection, you won’t regret it. Again, in conjunction with our How to get the Americana Aesthetic in Your Entryway we have a couple of links for you to help nail the look even more. Need more advice on the Americana aesthetic? Head over to The Composed Interior for more great tips and info in their Americana blog post. Buffalos scream Americana so we found this gorgeous “American Bison” photograph on Etsy. Your Americana entryway wouldn’t be complete without a bench and we love this Black Wood Kamron High Back Windsor Bench from World Market. Throw your umbrellas in this statement Copper Umbrella Stand from Williams Sonoma and call it a day.